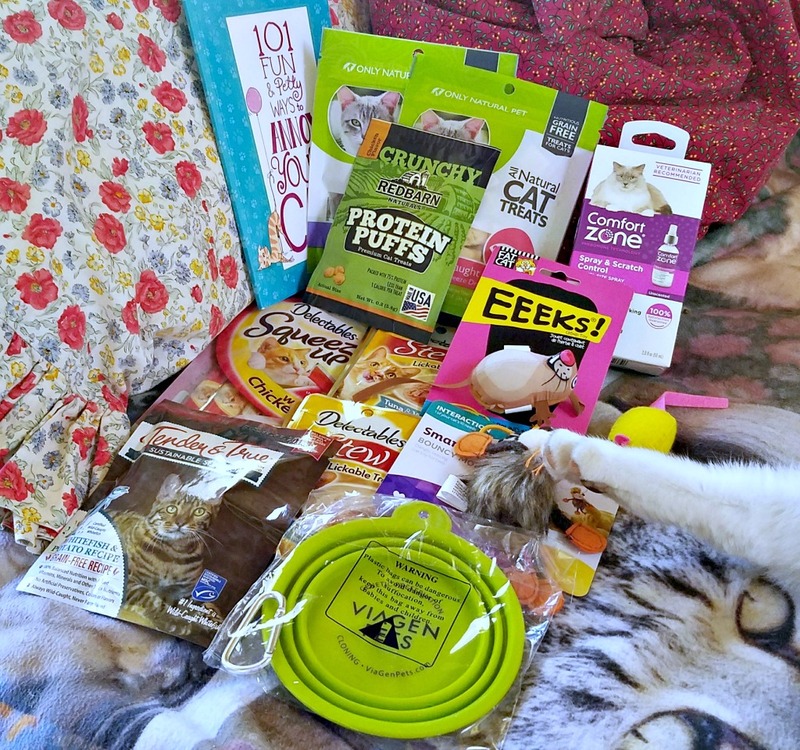 BlogPaws Swag Bag Equals Farm Cat Fun - What Was Inside? 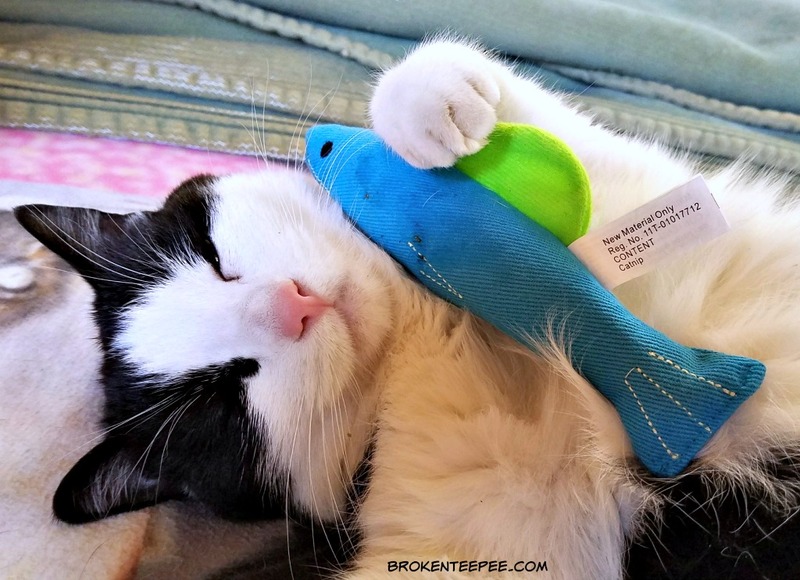 BlogPaws Swag Equals Farm Cat Fun – with a Giveaway! One of the most talked about topics from the annual Pet Influencer conference known as BlogPaws is the famous BlogPaws Swag Bag. Every year attendees pack in such a way so as to be sure to have room to bring home the goods. I am no exception. In fact, I broke my cardinal rule – I checked a suitcase so that I’d have room for all of the BlogPaws Swag for the Farm cats. I am a BlogPaws® Conference Sponsored Blogger on behalf of Chewy.com. I am being compensated to help share information about the BlogPaws 10th Anniversary Conference and Chewy.com with my readers and fellow influencers, Neither Chewy.com or BlogPaws are responsible for the content of this article. Of course the Farm cats are the ones that benefit from all of the cool things I bring home from BlogPaws. They get to taste test new foods and treats. Not to mention play with new toys. I mentioned some of the brands I met in my 10th Anniversary BlogPaws Conference post. 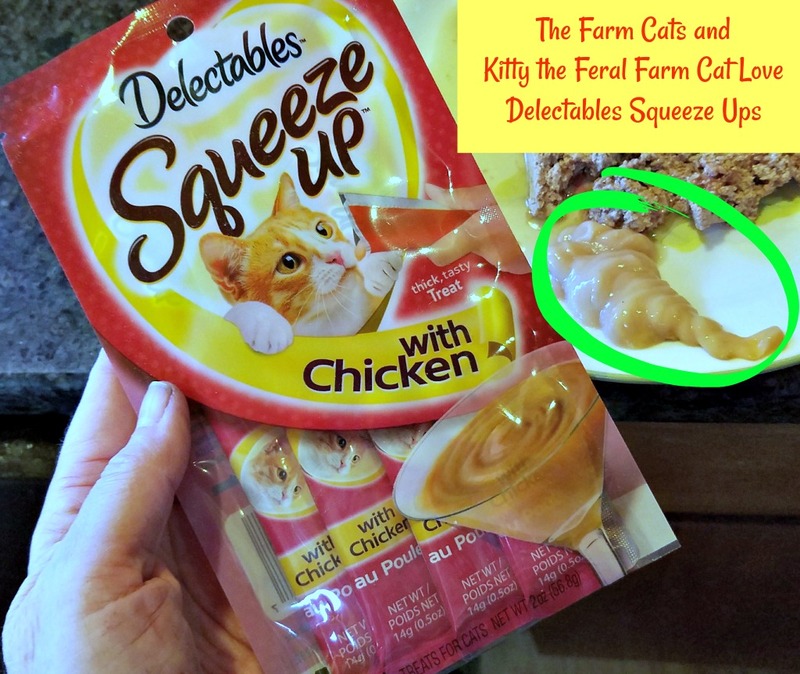 The Farm cats were able to try some of their products; I do have to be somewhat careful with cat food as Sherpa and Pumpkin have sensitive stomachs. Thankfully, the cans I brought home this year were some brands I hadn’t tried before and no one re-presented the food to me. Hooray for that. I really do not like seeing cat food for a second time. Most of the foods and treats I’m going to show you can be purchased at Chewy® so I’ve linked to them where I can. You know how highly we think of them. 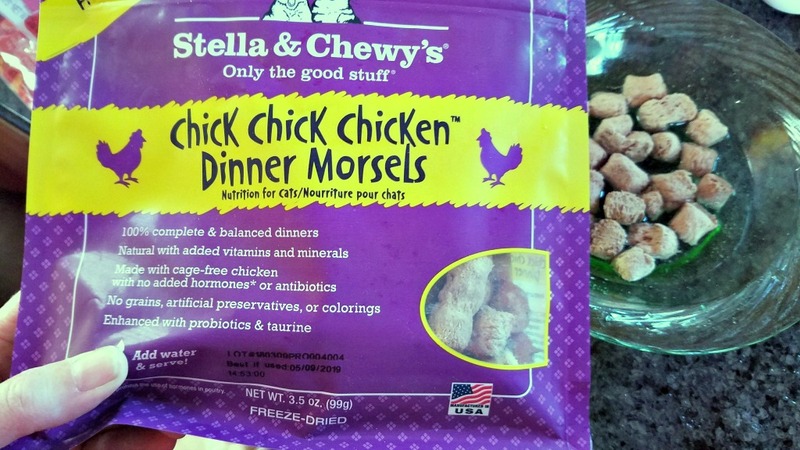 One of the different types of cat dinners I gave the cats was Stella and Chewy Chick Chick Chicken Dinner. It’s a freeze dried food where you add the morsels to a bowl of warm water. I’ve given the cats freeze dried food before and they look at me like I have two heads so I figured they would ignore this but much to my surprise the bowl was empty in the morning. So somecat(s) liked it. Also in the BlogPaws Swag Bag were cans of chicken cat food from Halo which was quite enjoyed by Stinky but no other cat. Merrick included a pouch of Backcountry Real Chicken Recipe Cuts. This disappeared so quickly thanks to Sherpa and Stinky that I don’t think the other two had a chance to try it. Solid Gold included a can of chicken and coconut oil food that was enjoyed by all so I’ve switched out one case of their regular food for this in their regular autoship from Chewy.com. When I find something all four of them like I do a happy dance! Only Natural Pet provided several cans of their grain free pate and it was roundly enjoyed. I gave some of this to Kitty the feral farm cat and he liked it too. 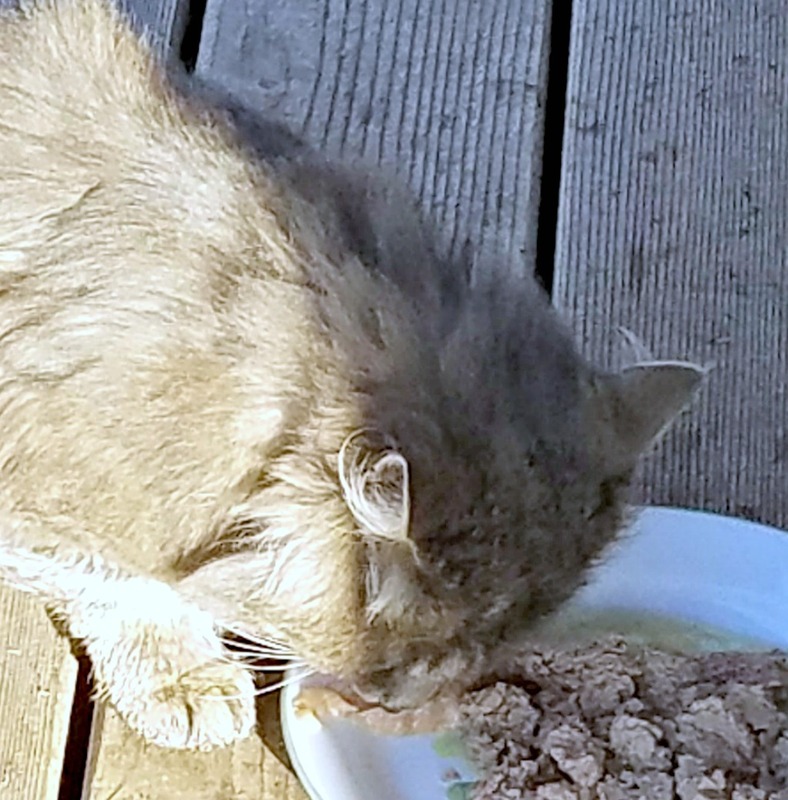 Kitty is a fussy feral – which I find highly amusing. He won’t eat just anything. 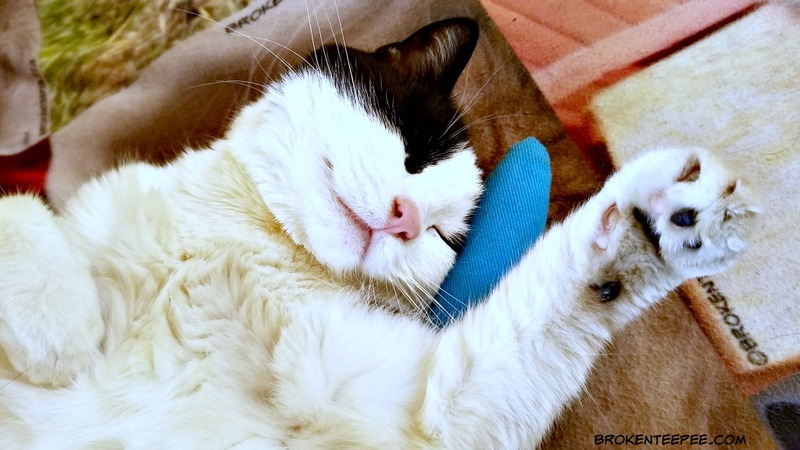 Cat Treats – Of COURSE There Were Treats! 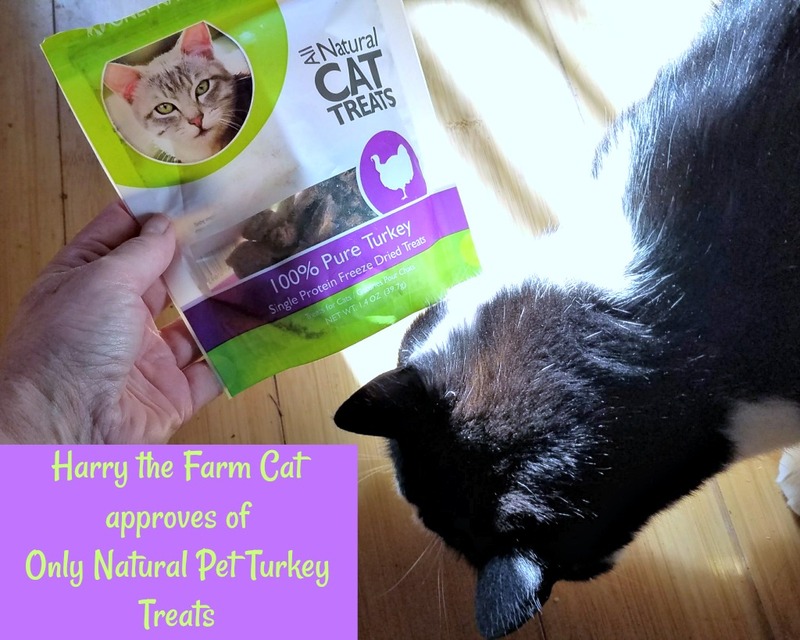 Harry was very fond of Only Natural Pet’s dried turkey treats. No other cat liked them though. Are you starting to get a feel for what it’s like around here? I have one set of treats for Harry, on set for Sherpa – because the ones that Harry likes make Sherpa toss his cookies. Pumpkin likes another kind altogether and Stinky only likes wet treats like…..
Delectables Squeeze Ups from Hartz. I will admit that this particular treat is not MY favorite as it looks a bit well, icky. I guess it’s like chicken baby food which is probably why Stinky likes it so much. She doesn’t have any teeth so she needs a soft treat like this. Kitty the Feral farm cat also liked this treat. I gave him some this morning as a little surprise with his breakfast. He lapped it right up. Stinky is also very fond of Delectables Stew. The Farm cats got to taste test this treat last year. There were a number of toys in the swag bag including furry mice from Hartz. Since the Farm cats have more fuzzy mice – not to mention real live mice – than they know what to do with, we donated our fuzzy mice to our friends at Cats Going Places for their shelter. In fact the Farm cats have a lot of toys so we are not keeping most of what came in the bag. The only toy we are keeping is the Our Pets catfish trout. I thought that there was no more perfect toy for Montana cats than a catfish trout. Harry has claimed the trout as his own. He plays with it and he sleeps with it. He LOVES that trout. This makes me happy to see him so happy. He does not like to share though. I might have to get some more trout for the other Farm cats. I forgot in all of my writing to mention the hotel where the 10th Anniversary BlogPaws Conference was held! That was very bad of me. 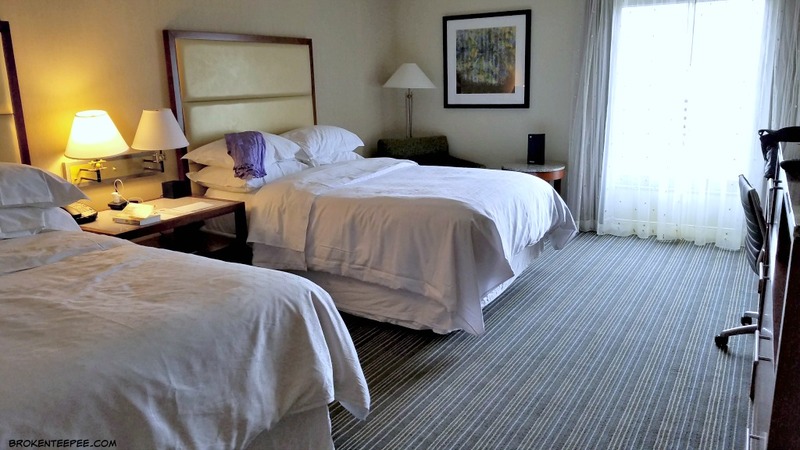 The Sheraton Kansas City at Crown Center was a wonderful and welcoming place. My room was clean and spacious and had everything I needed for my stay. The bed was comfortable. The food the hotel offered for our meals was plentiful and tasty. I loved the little desserts at lunch the second day. I think I have the timing right – you never know with my brain, right? 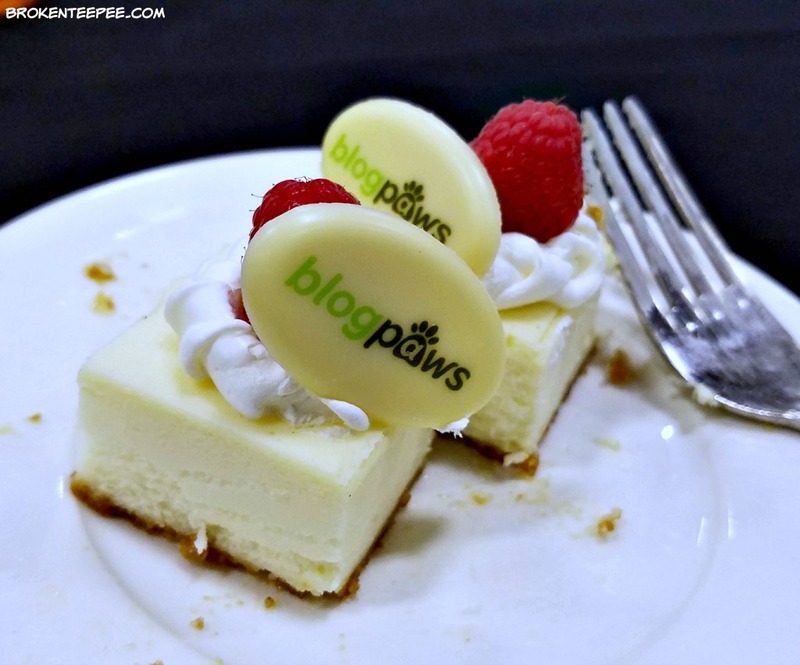 Delightful little cheesecake squares with white chocolate ovals with the BlogPaws logo. I will not comment as to how many I ate. The only complaint I have at all about the Sheraton pertains to the temperature in the conference areas – IT WAS FREEZING! I had on several layers and still was shivering. Just enter as many ways as you would like on the Gleam widget below. Full rules are on the widget. Good luck everyone!